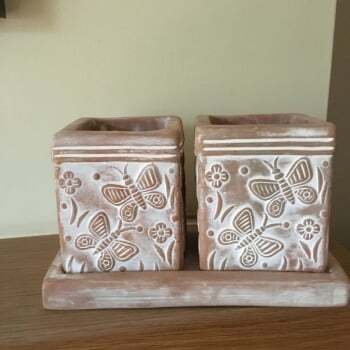 This pretty terracotta herb planter set from Ruddick Garden Gifts has a lovely butterfly design. Each set comes with two small herb pots and a tray to sit them on. 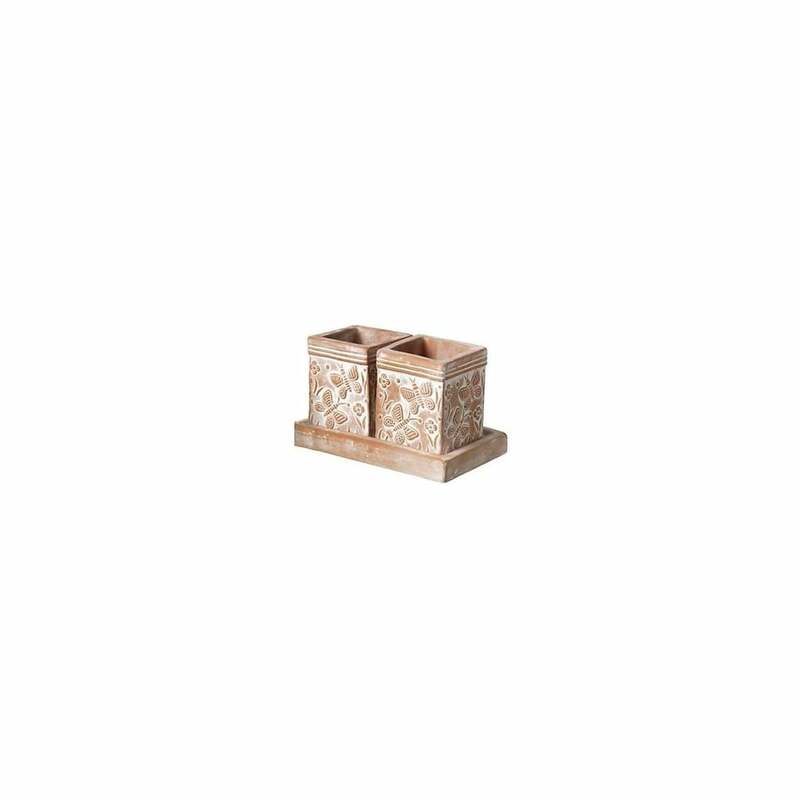 Perfect for growing herbs on a kitchen window sill.